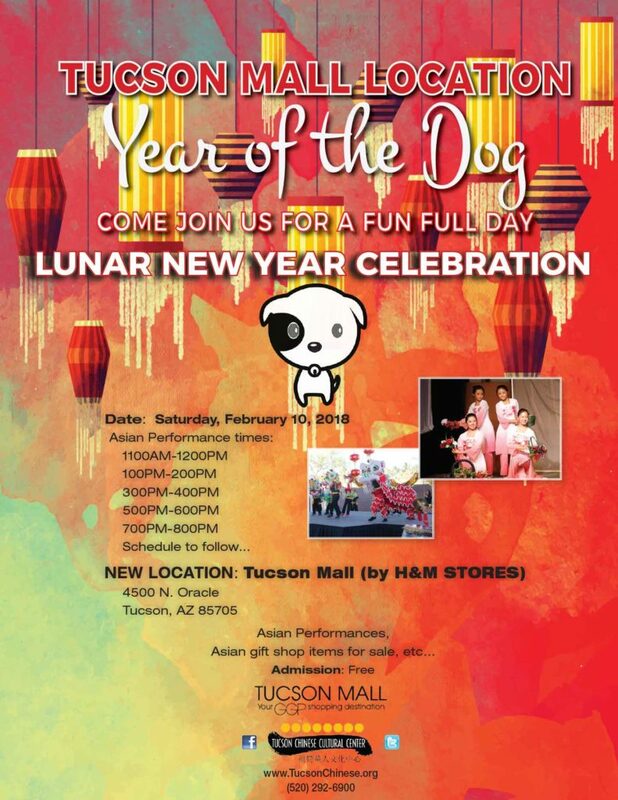 Several celebrations on Feb. 10, 17, 18 coming up for Chinese New Year of the Dog. Update – Feb. 10 performance schedule below. Previous articleMore government shutdown theatrics this week? Gung Hay Fat Choy or Happy New Year today for Chinese New Year of the Dog! One of these events is past, but the other 2 are this weekend. 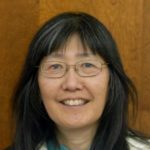 Enjoy these celebrations and others for the Lunar New Year (in the Chinese, Vietnamese and Korean traditions). 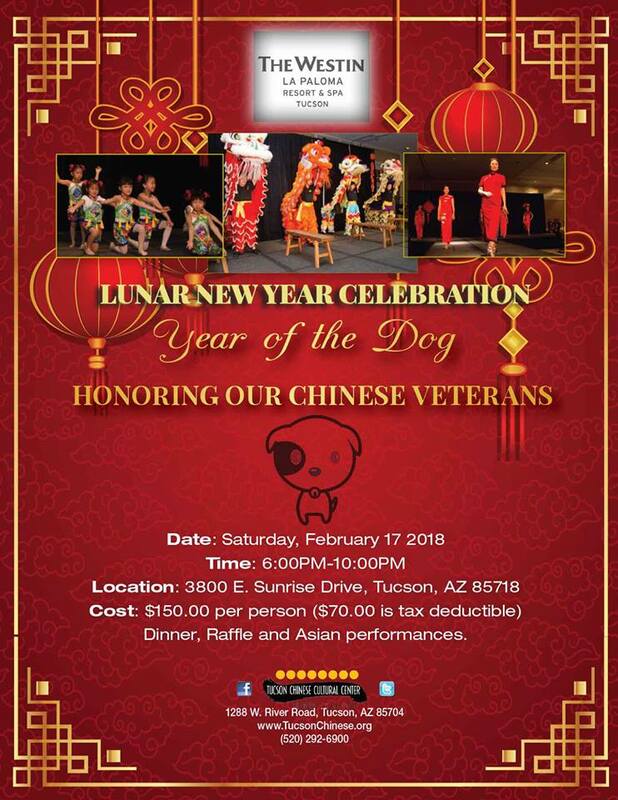 Tucson Ariz— Janos Wilder is pleased to announce the second annual Chinese New Year celebration at The Carriage House on Friday, February 16th. 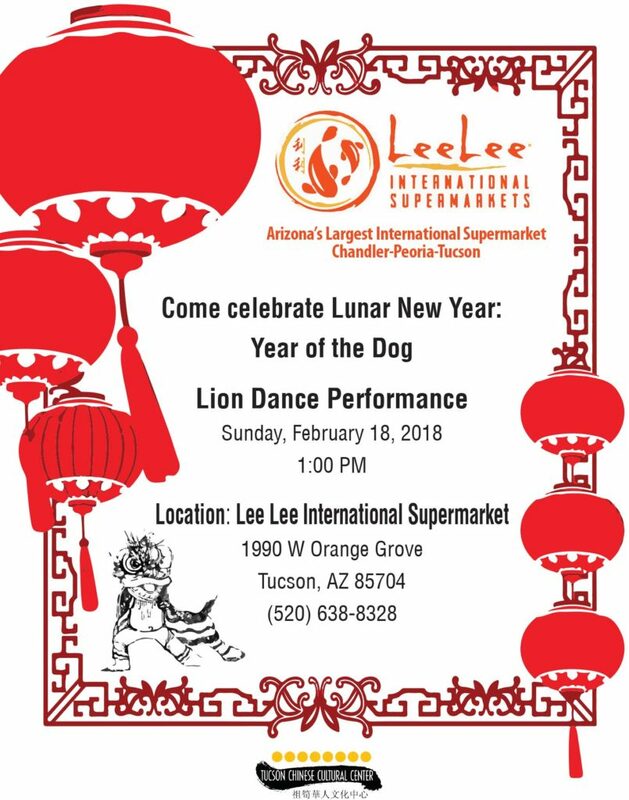 Dance troupe Jade Lion will ring in the Year of The Dog with the enchanting and auspicious Lion Dance. The Chinese New Year is a great time to gather with family and friends over a five -course meal of traditional Chinese delicacies to greet the New Year with good health, good luck, and prosperity. The evening will begin at 6:30pm with a welcome cocktail followed by dinner with wine. The Lion Dance will be performed during dinner. Price per person is $65.00 per person and includes the welcome cocktail, Chinese Banquet and 1/2 bottle wine per person . For reservations contact Megan at 520-615-6100, cell 520-591-6940, or email megan@downtownkitchen.com . Thanks for info on this Chinese New Year dinner at The Carriage House. I tend not to post restaurant events (too many in Tucson). 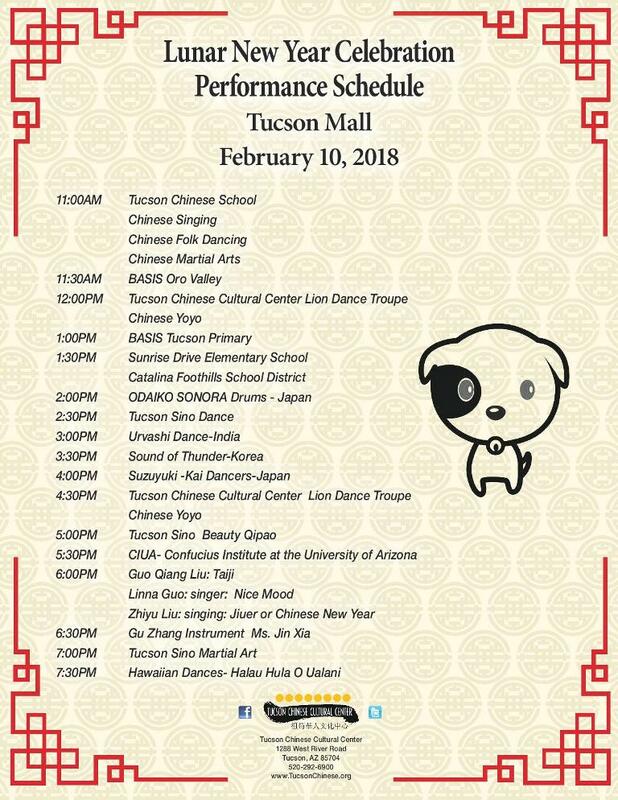 I’m posting these events above are they are sponsored by the Tucson Chinese Cultural Center.